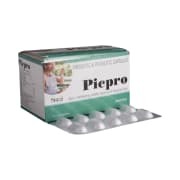 Picpro Capsule is composed of the active spores of lactobacillus, bifidobacterium species, Sachharomyces boulardii, fructo oligo saccharides, and zinc. 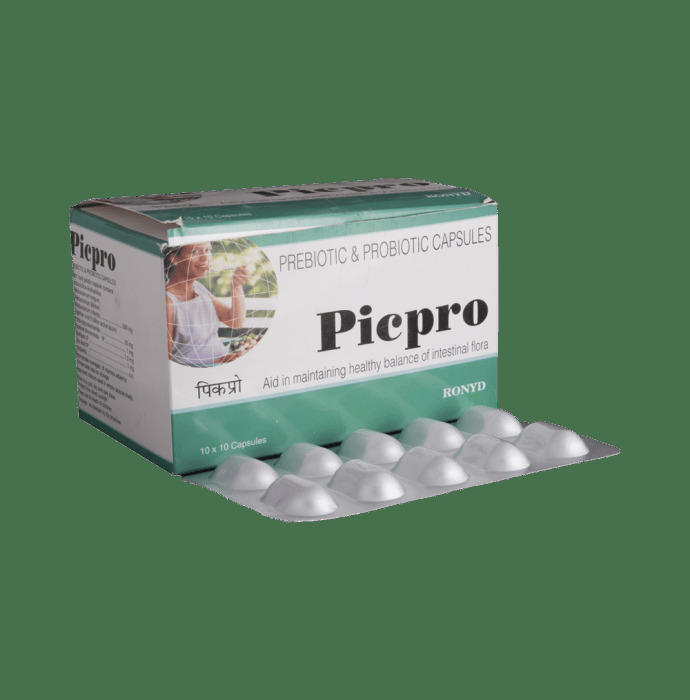 The components of the Picpro Capsule act as probiotics to enhance the ecology of the gut micrflora and boost the health of gastrointestinal tract. They also act as prebiotics to provide nourishment to the probiotics. This capsule is useful for improving digestion and restoring the gut microflora environment after certain ailments or prolonged treatment with antibiotics. A licensed pharmacy from your nearest location will deliver Picpro Capsule. Once the pharmacy accepts your order, the details of the pharmacy will be shared with you. Acceptance of your order is based on the validity of your prescription and the availability of this medicine.